Martin, Karl. Reliefs des Alten Reiches. Teil 1. Corpus Antiquitatum Aegyptiacarum. Pelizaeus-Museum Hildesheim, Lieferung 3. Mainz am Rhein: Philipp von Zabern, 1978, pp. 19-24. Remarks Owner of D 51. Appears on north false door upper lintel (Hildesheim 415), south false door upper lintel (Hildesheim 416a), and south false door (Hildesheim 416), identified as [rx nswt sHD Hmw-kA jmj-r 10 Hwt aAt] royal acquaintance, inspector of ka-priests, overseer of the ten of the Great Estate; all found in D 51. Remarks Egyptologist and Copticist. Nationality and life dates from Who was Who in Egyptology. (1861-1951) German Egyptologist and Copticist; he was born in Dessau, 12 Nov. 1861, son of Ludwig S. and Helen S.; he was educated at the Universities of Berlin and Gottingen, and was Erman's (q.v.) first student; Ph.D. 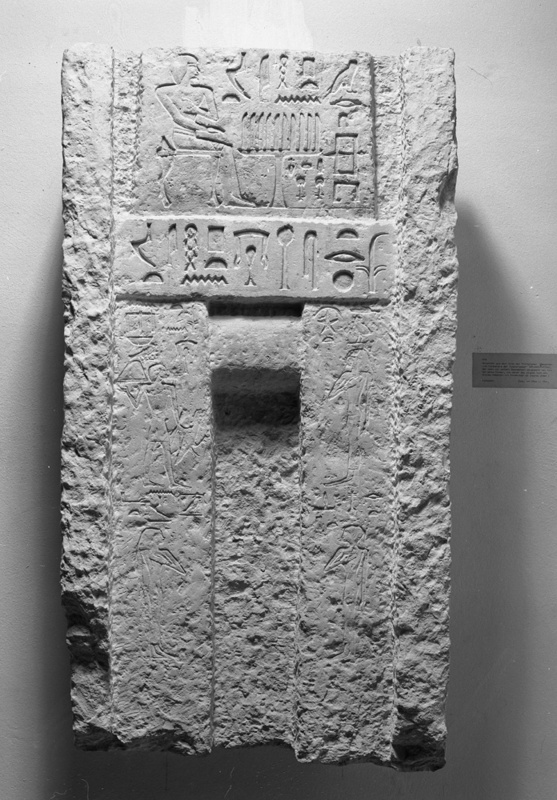 Gott., 1884; afterwards appointed assistant in Berlin Museum, 1885-93; Professor of Egyptology at Leipzig, 1893 until 1938, where he founded the Egyptian Institute and filled it with objects from his excavations in Egypt and Nubia; Steindorff made a special study of Coptic and was with Crum (q.v.) the leading authority in the world during his lifetime; he was also interested in art and published books and articles on this subject as well as on Egyptian religion; he explored the Libyan Desert, 1899-1900; excavated at Giza, 1909-1 1, and in Nubia, 1912- 14 and 1930-1; he edited the ZAS for 40 years and contributed many articles to it; his studies in Coptic were of the utmost importance and his Coptic Grammar still remains a standard work of reference and perhaps the most popular ever written in this field; in philology as a whole he was in the first rank and established the rules which are gener- ally accepted for the vocalization of Egyptian; in 1939 he was forced to emigrate to America when the Nazis were in power in Germany, and started another career there at the age of nearly eighty; he continued his studies in the museums of New York, Boston, and Baltimore and the Oriental Institute of Chicago; Hon. MemberofAmerican Oriental Soc. ; at Baltimore he compiled a 12-vol. MSS Catalogue of Egyptian antiquities in the Walters Art Gallery, which formed the basis for a later pub. work; both his 70th and 80th birthdays were the subject of tributes, see below; his published works are very numerous and his bibl. lists about 250 books, articles, and reviews, the first of which appeared in 1883, the last in the year of his death nearly 70 years later; Sassanidische Siegelsteine, with P. Horn, 1891; Koptische Grammatik mit Chrestomathie, Worterverzeichnis und Literatur, 1894, rev. ed. 1904; Grabfunde des Mittleren Reiches in den Koniglichen Museen zu Berlin. I. Das Grab des Mentuhotep, 1896; Die Apokalypse des Elias, eine unbekannte Apokalypse und Bruchstücke der Sophonias-Apokalypse. Koptische Text, Ubersetzung, Glossar, 1899; Die Blütezeit des Pharaonenreiches, 1900, rev. ed. 1926; Grabfunde des Mitt, Reiches in den Koniglichen Mus, zu Berlin, II. Der Sarg des Sebk-o. 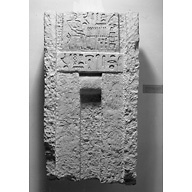 Ein Grabfund aus Gebelên, 1901; Durch die Libysche Wüste zur Amonoase, 1904; The Religion of the Ancient Egyptians, 1905; Koptische Rechtsurkunden des Achten Jahrhunderts aus Djëme, Theben, with W. E. Crum, 1912; Das Grab des Ti. Veroffentlichungen der Ernst von Sieglin Expedition in Agypten, vol. 2, 1913; Aegyten in Vergangenheit und Gegenwart, 1915; Kurzer Abriss der Koptischen Grammatik mit Lesestücken und W?rterveyzeichnis, 1921;Die Kunst derAegypter. Bauten,Plaslik, Kunstgewerbe, 1928; Aniba, 1. Band with R. Heidenreich, F. Kretschmar, A. Langsdorff, and W. Wolf, 11. Band with M. Marcks, H. Schleif, and W. Wolf, 1935-7; Die Thebanische Graberwelt, with W. Wolf, 1936; When Egypt Ruled the East, with K. C. Seele, 1942; Egypt, text of Hoyningen-Huene, 1943; Catalogue of the Egyptian Sculpture in the Walters Art Gallery, 1946; Lehrbuch der Koptischen Grammatik, 1951; while in America he also wrote a Coptic-Egyptian Etymological Dictionary; The Origin of the Coptic Language and Literature: Prolegomena to the Coptic Grammar; The Proverbs of Solomon in Akhmimic Coptic according to a Papyrus in the State Library in Berlin, with a Coptic-Greek Glossary compiled by Carl Schmidt, he also edited many editions of Baedeker's Egypt, making it a standard work for all travellers and the best general guide available; he died in Hollywood, California, 28 Aug. 1951. AEB 28, 29; Bulletin Issued by. the Egyptian Educ. Bureau, London, n(. 58, Sept. 1951. 25 (anon);Chron. D'Eg.27 (I952), 391;JA0S 61 (1941), 288-9, Eightieth Anniversary. of Prof.Steindorff,J.H Breasted Jnr.;66. (1946), 76-87, The Writings of Georg Steindroff , J.H.Breasted Jnr. ; 67 (1947) , 141-2,326-7; JEA 38 (1952), 2; Kürschner Corr . ; The Times , 30 Aug. 1951; ZAS67 (1931), 1, Seventieth Birthday Tribute; ZAS79 (1954) , V-VI (portr. )(S.Morenz); E. Blumenthal,Altes ?gypten in Leipzig, 1918, 15-31 .